Below are details of books I’ve contributed to. 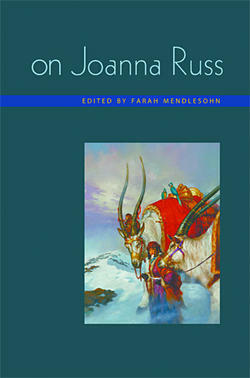 Joanna Russ is one of the central figures of feminist science fiction, and I was enormously flattered when Farah Mendlesohn invited me to write a chapter on Russ’s short fiction for this book; it was published by Wesleyan University Press in 2009. 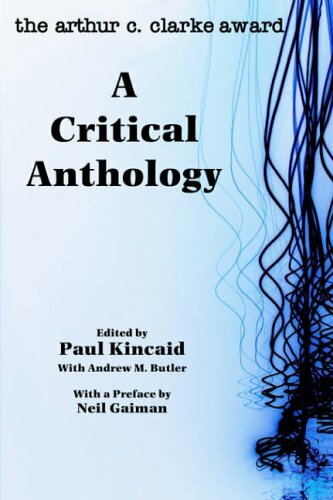 Other contributors include Andrew M. Butler, Brian Charles Clark, Samuel R. Delany, Edward James, Sandra Lindow, Keridwen Luis, Paul March-Russell, Helen Merrick, Dianne Newell and Jenéa Tallentire, Jason Vest, Sherryl Vint, Pat Wheeler, Tess Williams, Gary K. Wolfe, and Lisa Yaszek. Here’s an interview I did with Farah about the book for Amazon.com’s Omnivoracious blog (at the invitation of Jeff VanderMeer), and here are some reviews by L Timmel Duchamp, Paul Kincaid, and Cheryl Morgan. You can order copies from Amazon UK or US. I contributed an essay on science fiction, fantasy and horror to this enormous three-volume hardback encyclopedia, edited by John Hawley and published by Greenwood Press in 2009. 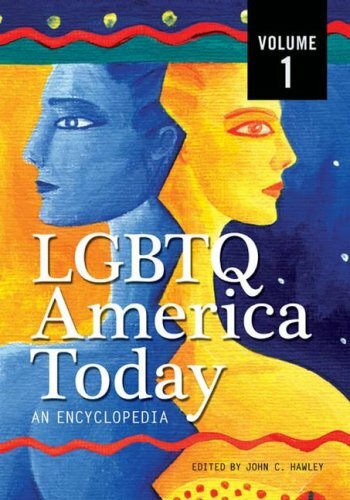 It’s not cheap, I’m afraid, but is fascinating and incredibly comprehensive, with entries on almost every topic you could wish under the heading of US LGBTQ history. You can order copies from Amazon here. To mark the 20th anniversary of the Arthur C Clarke Award, the award’s administrators compiled a book of essays on each of the winners to date; I wrote about Bruce Sterling’s Distraction. Other contributors include Elizabeth Billinger, Paul Billinger, Tanya Brown, Andrew M Butler, Iain Emsley, Pawel Frelik, Joan Gordon, Penny Hill, L.J. Hurst, Tony Keen, Maureen Kincaid Speller, Edward James, Farah Mendlesohn, Cheryl Morgan, Adam Roberts, Justina Robson, and Nicholas Ruddick. Here’s a review by Claire Brialey, and it can be ordered from Amazon UK here. John Clute and Judith Clute are two of the most generous and influential figures in sf today – John as critic and Judith as artist. Polder is by way of a thank-you to them from some of their friends, and an opportunity for us to talk about some of their ideas. The contributors are Brian Aldiss, Jack Bradfield, Scott Bradfield, Damien Broderick, Andrew Butler, Ellen Datlow, Tom Disch, Candas Jane Dorsey, Neil Gaiman, William Gibson, Joe Haldeman, Elizabeth Hand, M. John Harrison, Edward James, Roz Kaveney, Paul Kincaid, Rob Latham, John Lifton, Javier Martinez, Sean McMullen, Kim Stanley Robinson, Geoff Ryman, Bruce Sterling, Ian Watson, Gary K. Wolfe, Jack Womack, Pamela Zoline and, uh, me. I’m honoured to be there. You can find out more, and order, from the Old Earth Books page here. There’s a long and interesting review by Niall Harrison here at Strange Horizons. I’ve been reading Christopher Priest’s work for many years, and so was glad of the chance to write a long overview essay on his novels for this book – which is the first critical volume on Priest. It was published in August 2005, to mark Priest’s appearance as Guest of Honour at Interaction, the World Science Fiction Convention. Other contributors include Andrew M. Butler, Gilles Dumay, Nick Hubble, Paul Kincaid, Nicholas Ruddick, Andy Sawyer, Victoria Stewart, Thomas van Parys, and Matthew Wolf-Meyer; we’re very lucky to have a wonderful cover by Colin Odell. It can be ordered from the publisher, the SF Foundation, here – price £14 inc p&p. There’s a review of it by John Clute here. I’m very happy to have a contribution in this book, published in 2003 by Wildside Press, which is the first to survey the work of John Crowley. In his Preface, Harold Bloom says, “Crowley writes so magnificently that only a handful of living writers can equal him as a stylist….Of novelists, only Philip Roth consistently writes on Crowley’s level.” Other contributors to Snake’s-Hands include Alice K. Turner, Michael Andre-Driussi, William H. Ansley, Brian Attebery, John Clute, Matthew S.S. Davis, Thomas M. Disch, James Hynes, Don Riggs, Bill Sheehan, Adam Stephanides, Jennifer Stevenson, and Sondra Ford Swift. I wrote a long overview-essay on the work of Lucius Shepard for this 2003 two-volume reference book. At $265, it’s probably beyond most peoples’ price ranges, but library copies are well worth seeking out. There are a range of terrific essays on other fantasy/horror writers, by contributors including Richard Bleiler, John Clute, Elizabeth Hand, David Langford, and Brian Stableford. Details for the sufficiently wealthy at Amazon.